One of the earliest detailed descriptions of Northern Europe is reported in the account written by the Arab Muslim writer and traveler Ahmad Ibn Fadhlan, who was sent in 921 CE as the secretary to an ambassador from the Abbasid Caliph al-Muqtadir from Baghdad to the Volga Bulgars by the Black Sea and the Caspian. Ibn Fadhlan's travel account was the source of inspiration to many fictional narratives in Western literature and art, such as the the well known novel Eaters of the Dead by Michael Crichton, filmed as The 13th Warrior directed in 1999 by John McTiernan, and the film Beowulf, released in November 2007. One of the earliest detailed descriptions of the Vikings is reported in the account Ibn Fadhlan wrote after his travels in Northern Europe. In 921 CE Arab Muslim writer and traveler Ibn Fadhlan was sent as the secretary to an ambassador from the Abbasid Caliph al-Muqtadir from Baghdad to the Volga Bulgars by the Black Sea and the Caspian. The mission itself was something of a bust. But while there, Ibn Fadhlan recorded his encounter with a band of traders from the North, whom he called Rus, or Rusiyyah. Figure 1: Front cover of The 13th Warrior (previously published as Eaters of the Dead) by Michael Chrichton (Ballantine Books, reissue edition 1988). His adventures were the inspiration for the well known novel Eaters of the Dead by Michael Crichton  (filmed as The 13th Warrior (1999) directed by Johni McTiernan, with Antonio Banderas as Ibn Fadhlan . In the film, the Arab ambassador is taken even further north and is involved in adventures inspired by the Old English epic Beowulf. Indeed Crichton designed Eaters of the Dead as being a fictional version of the historic events which created the basis of the epic Beowulf. While undoubtedly Crighton had some familiarity with Ibn Fadhlan's account, his novel Eaters of the Dead is totally fiction, mixing Ibn Fadhlan with Beowulf and a bit of H.G. Wells' Morlocks added for flavour. There are, however, translations of Ibn Fadhlan's true account available, including the excerpts discussing Ibn Fadhlan's adventures among the Rus as discussed below. According to the plot summary of the 13th Warrior, in the early 10th century Arab courtier Ahmad Ibn Fadhlan accompanies a party of Vikings to the barbaric North. Ibn Fadhlan is appalled by the Vikings customs –their permissive habits, their disregard for cleanliness, their cold-blooded human sacrifices. Later he learns the horrifying truth: he has been enlisted to combat a terrific monster, the Wendol, which slaughters the Vikings and devours their flesh. Ahmad Ibn Fadhlan first does not feel comfortable with the strange men of the north, but when he finds out what really exists, he bravely fights alongside the Vikings in a battle that can't be won . A major Arabic TV series The Roof of the World (Saqf al-`alam) was produced in 2007 (directed by Najdat Anzour) charting Ibn Fadhlan's journey from a contemporary perspective. The 30 one-hour episodes tackle the relations between Islam and Europe at two moments: the time of Ibn Fadhlan and the present . 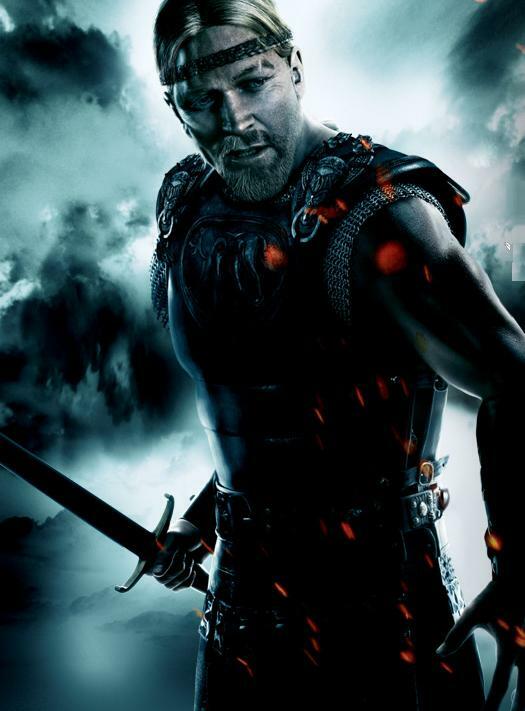 Figure 2: Poster of the movie Beowulf (2007) by Robert Zemeckis. (Source). Beowulf, written in Old English sometime before the 10th century CE, is an Old English heroic epic poem. It describes the adventures of a great Scandinavian warrior of the 6th century. A rich fabric of fact and fancy, Beowulf is the oldest surviving epic in British literature. Beowulf is of anonymous authorship. Its creation dates to between the 8th and the 11th centuries, the only surviving manuscript dating to circa 1010. At 3183 lines, it is notable for its length. It has risen to national epic status in England. The text exists in only one manuscript. This copy survived both the wholesale destruction of religious artefacts during the dissolution of the monasteries by Henry VIII and a disastrous fire which destroyed the library of Sir Robert Bruce Cotton (1571-1631). The manuscript still bears visible scars of the fire. 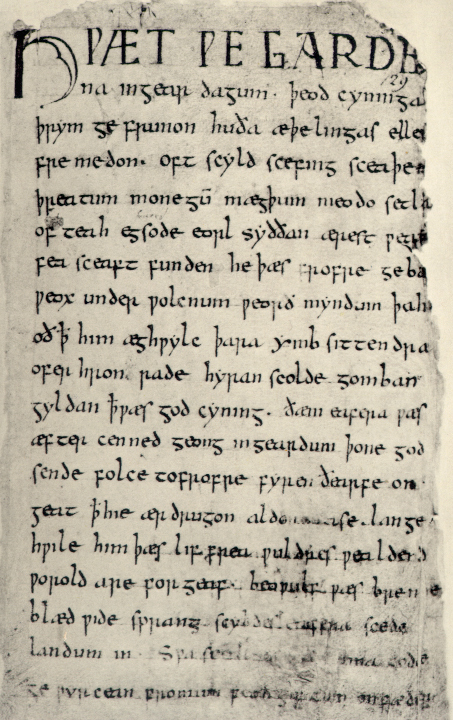 The Beowulf manuscript is now housed in the British Library, London . 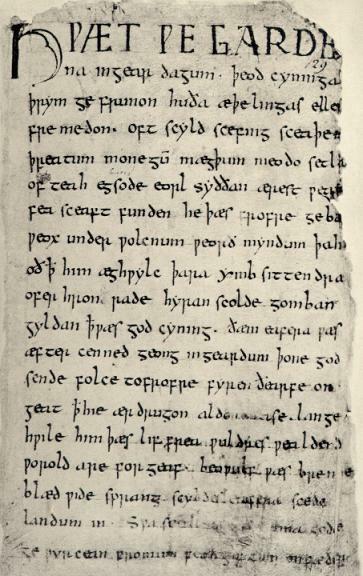 Figure 3: First page of the Beowulf manuscript written by an anonymous Anglo-Saxon scribe who wrote the 'Nowell Codex', Cotton Vitellius A.x.v. 129 r, held at the British Museum (Source) . Online at answers.com and in the digital library of Project Gutenberg. In the poem, Beowulf, a hero of the Geats, battles three antagonists: Grendel, who is attacking the Danish mead hall called Heorot and its inhabitants; Grendel's mother; and, later in life after returning to Geatland (modern southern Sweden) and becoming a king, an unnamed dragon. He is mortally wounded in the final battle, and after his death he is buried in a barrow in Geatland by his retainers. Beowulf has been adapted a number of times in novels, theatre, and cinema, including the 2005 film Beowulf and Grendel and the 2007 animated film Beowulf directed by Robert Zemeckis . The relationship between Ahmad ibn Fadlan and Beowulf (the etymology of which may be the Arabic name Buliwyf or its variants)  is autorised by the fact that Ibn Fadhlan's account of his North-European travel may have been a source for the old English epic. This link is still to be established firmly on strong historical grounds. However, the connection between the two inspired the modern literature which extrapolated the strange aspects of both to build a captivating narrative, like the one constructed by Michael Crichton in the Eaters of the Dead. 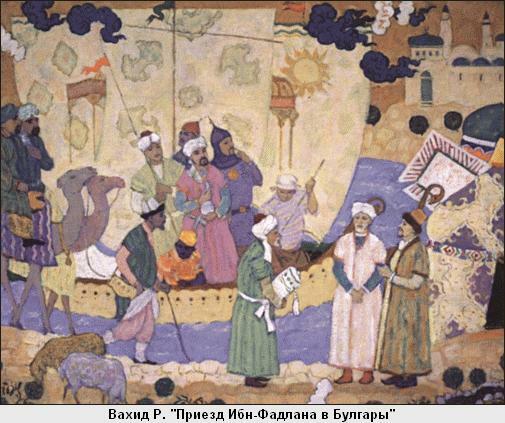 Figure 4: Illustration of the expedition led by Ibn Fadhlan to Northern Europe in a Russian museum in Norod, Russia. (Source). Ahmad ibn Fadhlan ibn al-Abbas ibn Rashid ibn Hammad was a 10th century Arab Muslim writer and traveler who wrote an account of his travels as a member of an embassy of the Abbasid Caliph of Baghdad to the king of the Volga Bulgars, the Kitab ila Malik al-Saqaliba. For a long time, only an incomplete version of the account was known, as transmitted in the geographical dictionary of Yaqut (under the headings Atil, Bashgird, Bulghar, Khazar, Khwarizm, Rus), published in 1823 by the Russian scholar, C. M. Frähn, who translated the text from Arabic into German . Only in 1923 was a manuscript discovered by the Turkish scholar Zeki Validi Togan in the library of the Iranian city of Mashhad. The manuscript MS 5229 dates from the 13th century and consists of 420 pages. Besides other geographical treatises, it contains a fuller version of Ibn Fadhlan's text (pp. 390-420) . Additional passages not preserved in MS 5229 are quoted in the work of the 16th century Persian geographer Amin Razi called Haft Iqlim (Seven Climes) . 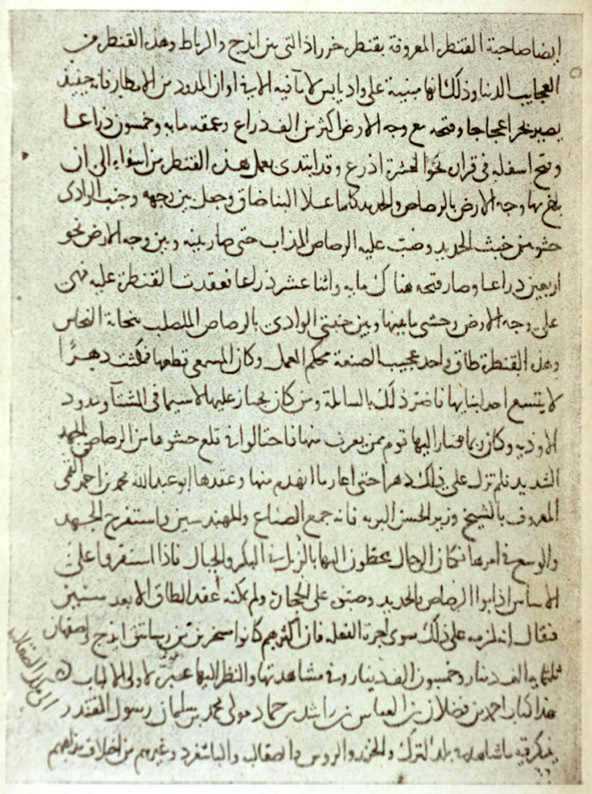 Figure 5: Page of the manuscript of Ibn Fadhlan's travel account. (Source). Ibn Fadhlan was sent from Baghdad in 921 to serve as the secretary to an ambassador from the Abbasid Caliph al-Muqtadir to the iltäbär (vassal-king under the Khazars) of the Volga Bulgaria, Almis. The embassy' objective was to have the king of the Bolgars pay homage to Caliph al-Muqtadir and, in return, to give the king money to pay for the construction of a fortress. Although they reached Bolgar, the mission failed because they were unable to collect the money intended for the king. Annoyed at not receiving the promised sum, the king refused to switch from the Maliki rite to the Hanafi rite of Baghdad. The embassy left Baghdad on June 21, 921 (11 Safar 309 H). It reached the Bulghars after much hardship on May 12, 922 (12 Muharram 310 H). Until today, this day is an official religious holiday in modern Tatarstan. The journey took Ibn Fadhlan from Baghdad to Bukhara, to Khwarizm (south of the Aral Sea). Although promised safe passage by the Oghuz warlord, or Kudarkin, they were waylaid by Oghuz bandits but luckily were able to bribe their attackers. They spent the winter in Jurjaniya before traveling north across the Ural River until they reached the towns of the Bulghars at the three lakes of the Volga north of the Samara bend. 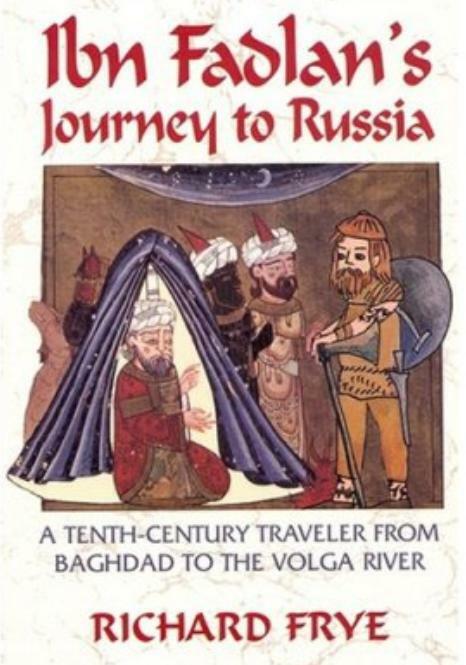 Figure 6: Front cover of Ibn Fadlan's Journey To Russia: A Tenth Century Traveler From Baghdad to the Volga River, edited by Richard N. Frye (Markus Wiener Publishers, 2005). After arriving in Bolgar, Ahmad ibn Fadhlan made a trip to Wisu and recorded his observations of trade between the Volga Bolgars and local Finnic tribes. A substantial part of Ibn Fadhlan's account is dedicated to the description of a people he called the Rus or Rusiyyah. Most scholars identify them with the Rus' or Varangians, which would make Ibn Fadhlan's account one of the earliest portrayals of Vikings. The Rus appear as traders that set up shop on the river banks nearby the Bolgar camp. They are described as having the most perfect bodies, tall as palm-trees, with blond hair and ruddy skin. They are tattooed from "fingernails to neck" with dark blue or dark green "tree patterns" and other "figures" and that all men are armed with an axe and a long knife. Ibn Fadhlan describes the hygiene of the Rusiyyah as disgusting (while also noting with some astonishment that they comb their hair every day) and considers them vulgar and unsophisticated. In that, his impressions contradict those of the Persian traveler Ibn Rustah. He also describes in great detail the funeral of one of their chieftains (a ship burial involving human sacrifice). Some scholars believe that it took place in the modern Balymer complex . 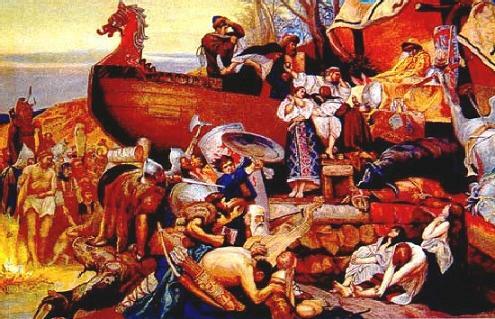 Figure 7: The ship burial of the Viking ruler Igor the Old in his boat in Kievan Rus', by the Polish Painter Heinrich Semiradzki (1845-1902). (Source). His description of the Vikings, who he called the "filthiest of God's creatures" yet the most physically beautiful people he had ever seen—"tall as date palms, blond and ruddy"—was but one of many notable passages in the writings of Ibn Fadhlan. He also discussed the existence of Gog and Magog, beastly creatures mentioned in ancient sources and associated with the end of the world. Throughout the Middle Ages, travelers and pseudo-authorities claimed to have located Gog and Magog somewhere in Central Asia; Ibn Fadhlan, at least, reported this tale merely as a legend he had heard from others. Upon his return to Baghdad, Ibn Fadhlan wrote an account of his journey. The final portion—the part that presumably would have told about his journey back and his later life—has been lost, but the fragments that survive make for highly informative and sometimes powerful reading . Figure 8: Front covers of four recent Arabic publications of Ibn Fadhlan's narration of his journey to Russia. Figure 9: Frontispiece of the German translation of Ibn Fadhlan's book, Reisebericht. Rihlat Ibn Fadlan. 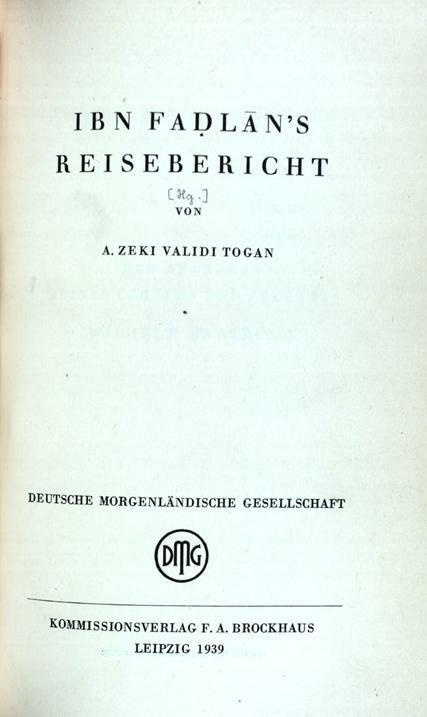 Edited and translated into German by Ahmed Zeki Validi Togan (Leipzig, 1939). Anderson, Joseph, "Description by Ibn Fozlan …", Proceedings of the Society of Antiquaries of Scotland, Edinburgh, vol. 9, Part 2, 1873, pp. 518-31. Blake, Robert P., and Frye, Richard N., "Notes on the Risala of Ibn Fadlan", Byzantina Metabyzantina, vol. 1: 2 (1949), pp. 7–37. Canard, Marius, "La relation de la voyage d'Ibn Fadlan chez les Bulgares de la Volga", in Miscellanea Orientalia, Variorum, 1973, article XI. Frähn, Christian Martin, Die ältesten arabischen Nachrichten über die Wolga-Bulgaren aus Ibn-Foszlan's Reiseberichte. Saint Petersbourg: Mémoires de L'Académie Impériale des Sciences, VIème série, 1823. Frye, Richard N. (editor), Ibn Fadlan's Journey To Russia: A Tenth Century Traveler From Baghdad to the Volga River. Markus Wiener Publishers, 2005 (Paperback). See the Table of Contents. FSTC Ltd ((1 June 2002), "The Travels of Ibn Fadlan". Gabriel, Judith, "Among the Norse Tribes: The Remarkable Account of Ibn Fadlan", Saudi Aramco World, November/December 1999, pp. 36-42. Golden, P. B., "Rus," Encyclopedia of Islam, Leiden 1995, vol. 8, pp. 618-29. Ibn Fadhlan, Ahmad b. al-‘Abbas b. Rashid b. Hammad, Reisebericht. Rihlat Ibn Fadlan. Edited and translated into German by Ahmed Zeki Validi Togan. (Deutsche Morgenla¨ndische Gesellschaft, Abhandlungen für die Kunde des Morgendlandes. XXIV, 3.) Leipzig: F. A. Brockhaus, 1939. Reprinted at Frankfurt am Main: Institute for the History of Arabic-Islamic Science, 1994 ("Islamic Geography", vol. 168). 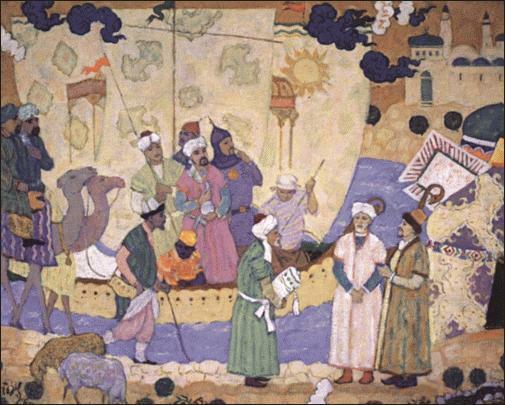 Ibn Fadhlan], Ibn Fadlan, Ahmed, Voyages chez les Bulgares de la Volga. French translation by Marius Canard Paris: Sindbad, 1988, reeditied 1999. [Ibn Fadhlan], Ibn Fadlan: an Arab Among the Vikings of Russia (from Science and Its Times-Thomson Gale Corp., 2005-2006). [Ibn Fadhlan in Russian], On Ibn Fadhlan's travels in Russia (in Russian). Kowalska, Maria "Ibn Fadlan's Account of His Journey to the State of the Bulgars", Folia Orientalia, vol. 14 (1972–3), pp. 219-30. La'ibi, Shaker, Introduction in Arabic (in two parts: part 1 and part 2) to text of Ibn Fadhlan's Rihla. [Letters On the Vikings], Ahmad ibn Fadlan: Letters On the Vikings. Magennis, Hugh, Michael Crichton, Ibn Fadlan, Fantasy Cinema: Beowulf at the Movies. Old English Newsletter, vol. 35.1, Fall 2001. [Magmu']. Magmu' fi ‘l-gughrafiya: tubi'a bi-‘t-taswir ‘an makhtut al-Maktaba ar-Radawiya fi Mahhad 5229. Mimma allafahu Ibn-al-Faqih wa-Ibn-Fadhlan wa Abu Dulaf al-Khazraji. Edited by F. Sezgin et al. Frankfurt am Main: Institute for the History of Arabic-Islamic Science, 1987 (Series "?Uyu¯n at-turath, vol. 43). Montgomery, James E., "Ibn Fadhlan and the Rusiyyah", Journal of Arabic and Islamic Studies vol. 3 (2000), pp. 1-25. Netton, Ian Richard (editor), Islamic and Middle Eastern Travellers and Geographers. 4 vols. London/New York: Routledge, 2007, 1520 pp. Vol. 1: Medieval Geographers and Travelers; vol. 2: The Travels of Ibn Jubayr (AD 1145–1217); vol. 3: The Travels of Ibn Battuta (AD 1304–1368/9 or 1377). See the online table of contents. [Risala], Risala: Ibn Fadlan's Embassy to the King of Volga Bulgaria (nbulgaria, 1999-2003). Simonsen, Jørgen Bæk, Vikingerne ved Volga / Ibn Fadlans rejsebeskrivelse, Højbjerg: Wormianum, 1981. Smyser, H.M. "Ibn Fadlan's Account of the Rus with Some Commentary and Some Allusions to Beowulf." Franciplegius: Medieval and Linguistic Studies in Honor of Francis Peabody Magoun, edited by Jess B. Bessinger and Robert P. Creed. New York: New York University Press, 1965, pp. 92-119. Stone, Caroline, "Ibn Fadlan and the Midnight Sun", Saudi Aramco World, March/April 1979, pp. 2-3. [Studies]. Studies on the Travel Accounts of Ibn-Fadhlan (1st half 10th century) and Abu Dulaf (1st half 10th century). Collected and reprinted by Fuat Sezgin in collaboration with Mazen Amawi. Frankfurt am Main: Institute for the History of Arabic-Islamic Science, 1994 ("Islamic Geography", vol. 169). [Video], A Muslim Goes to Europe, 922 AD. Based on Richard Frye's translation of Ibn Fadhlan's non-fictional account of his travels up the river Volga in the 10th century: Ibn Fadlan's Journey To Russia: A Tenth Century Traveller From Baghdad to the Volga River, edited by Richard N. Frye, Markus Wiener Publishers, 2005. [Viking], The Viking Answer Lady Webpage: Risala: Ibn Fadlan's Account of the Rus. [Wikipedia], Ahmad ibn Fadlan, in Wikipedia the free encyclopedia. Watson, William E., "Ibn al-Athir's Accounts of the Rus: A Commentary and Translation", Canadian/American Slavic Studies vol. 35 (2001). Eaters of the Dead by Michael Crichton, Hardcover, Alfred A. Knopf, Inc., 1976; Paperback, Ballantine Books, 1998; reedition HarperCollins Publishers, 2006. See: http://www.crichton-official.com/books-eatersofthedead.html. See the screenplay of The Eaters of the Dead based on the Novel by Michael Crichton at: http://eaters.ifrance.com/screenplay.htm (revised draft, March 1991). See the plot summary at: http://www.imdb.com/title/tt0120657/ and at: http://www.imdb.com/title/tt0120657/plotsummary. See an account on this TV series at: http://www.daralhayat.com/culture/tv/09-2007/Item-20070925-3dbfe89d-c0a8-10ed-00c3-e8c4235207e1/story.html. Adaptation from the Old English version by David Breeden: available online at: http://www.lone-star.net/literature/beowulf/. The text is also available on the website of McMaster university at: http://www.humanities.mcmaster.ca/~beowulf/. See the Electronic Boewulf at the University of Kentucky website, an online guide for the Electronic Beowulf, version 2.0 (2003), a set of 2 CD-ROMs published by the British Library Publications. For more data, see "Beowulf", in Wikipedia: http://en.wikipedia.org/wiki/Beowulf, the official movie site: http://www.beowulfmovie.com and the synopsis of the film at: http://imdb.com/title/tt0442933/synopsis. This hypothesis was not investigated before: see "Beowulf (hero)". C. M. Frähn, Ibn-Foszlan's und anderer Araber Berichte über die Russen älterer Zeit (published by the Russian Academy of Sciences, with a German translation, 1823). Reprinted in Hamburg: Helmut Buske Verlag, 1976. Ibn Fadhlan, Reisebericht. Rihlat Ibn Fadlan. Edited and translated into German by Ahmed Zeki Validi Togan. (Deutsche Morgenla¨ndische Gesellschaft, Abhandlungen für die Kunde des Morgendlandes, XXIV-3, Leipzig, 1939). Reprinted at Frankfurt: Institute for the History of Arabic-Islamic Science, 1994. See C. Edmund Bosworth, Ebn Rosta (d. after 290/903), Encyclopedia Iranica, and S. Maqbul Ahmad, "Ibn Rusta," Encyclopedia Islamica, 2nd edition, vol. III, pp. 920-21. See, "Viking funeral", in Wikipedia, the free encyclopaedia. For more details on Ibn Fadhlan's travel account, see the electronic publication of the Arabic text : click here; Judith Gabriel, "Among the Norse Tribes: The Remarkable Account of Ibn Fadlan", Saudi Aramco World, November/December 1999, pp. 36-42; Richard N. Frye, (editor), Ibn Fadlan's Journey To Russia: A Tenth Century Traveler From Baghdad to the Volga River (Markus Wiener Publishers, 2005), and other sources quoted in the bibliography section below. See also: Bibliography of Arabic Sources Relating to the Vikings. More resources are among the entries on Arab travelers in Literature of Travel and Exploration: An Encyclopedia, edited by Jennifer Speake, Fitzroy Dearborn Publishers, 2002.